Nowadays, environmentally friendly processes are of great interest and are considerably needed due to the environmental pollution seems to be a problem worldwide. For this reason, in this study, silver nanoparticles were synthesized using environmentally-friendly methods and their effectiveness as wood preservatives was investigated. 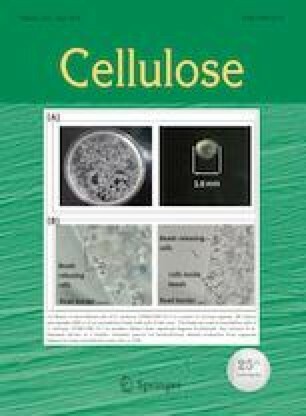 Scots pine (Pinus sylvestris L.) samples were impregnated with an autoxidized soybean oil polymer containing Ag nanoparticles (Agsbox). Samples characterised by Fourier transform infrared spectroscopy (FTIR) were tested against brown rot (Coniophora puteana) and wood-destroying insects (Hylotrupes bajulus). In addition, decay tests were applied to mini-block samples leached according to the EN 84 standard. Results demonstrated that Agsbox increased decay resistance in the unleached samples. However, low efficacy was exhibited against newborn H. bajulus larvae. As a results of FTIR measurement, impregnated with the nanocomposites showed significant changes at the 2910 cm−1 (C–H) and 1712 cm−1 (C=O) peaks.